David is a seasoned solo performe and has turned out quite a few dazzling monologues. He collected some of them together and the result is this hilarious and smart book. 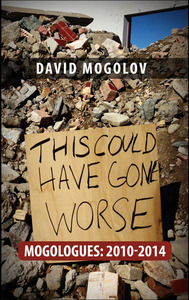 In 2010, David Mogolov began a series of three comedic monologues that left audiences questioning their life decisions small and large, from their flossing habits to their anger at Ponzi schemers. A hilarious, deep dive into the limits of human rationality, Mogolov’s comedy also presents history’s most thorough analysis of the smell of a Subway sandwich. In This Could Have Gone Worse, the trilogy of shows is annotated and expanded with commentary on how they were written and produced, with an honest account of what failed and what succeeded, and why. The notes and new chapters look at it from both the perspective of Mogolov and his director, Steve Kleinedler. 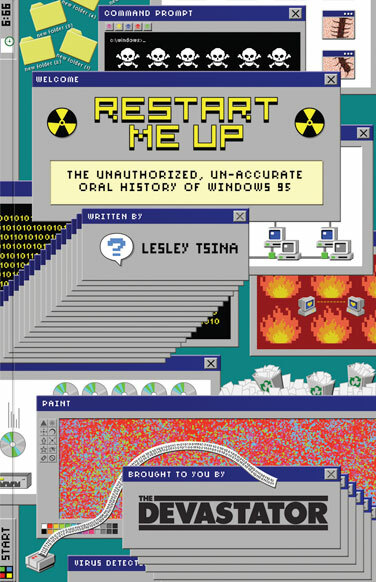 This is the untold, unbelievable, largely untrue story of the creation of Windows 95. Lesley tells it with her own special brand of deadpan wit. Go behind the system and meet those who made it all possible: the beleaguered programmers who became addicted to snorting Pixy Stix, the marketers who employed mass hypnosis tactics to trick the press, the violent battle to squash a literal giant bug in the code, the focus group idiots who only cared about getting pizza for lunch, and "mighty god" Bill Gates, who engaged in a money suitcase stand-off with Mick Jagger over the rights to "Start Me Up." It's the story of how a tiny operating system patch became a multinational, mundane media phenomenon. Brad has performed many of his own shows. 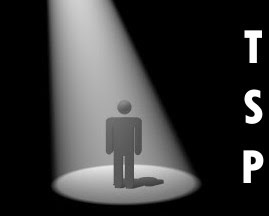 In this piece, he sets down a story for another performer. In this weird and hilarious monologue, a young woman finds a semi-mythical beast on a hike and brings it home. During the next few days she is forced to figure out why it is that she connects better with animals than people.